So, why do we celebrate Valentine’s Day? Where did it originate? The original concept of Valentines Day can be traced back to the ancient Roman Fertility Festival of Lupercalia, our ‘modern-day’ take on it is said to have come from the 3rd century when Emperor Claudius II outlawed marriage because men wanted to stay home with their wives instead of going to war. A Christian priest, Valentine, continued to marry couples in secret though. Poor Valentine was eventually caught, jailed then executed on February 14. Before his death, Valentine wrote a letter to the jailer’s daughter, whom he had become friends with, and signed it ‘from your Valentine.’ So, Valentine’s Day was born! The tradition of exchanging Valentine’s letters continued through the ages, and in the 17th and 18th century small gifts started to be exchanged as well. In our modern world, Valentine’s Day has become synonymous with a sumptuous romantic dinner, a unique marriage proposal or a time to celebrate the love of two people. Sage Café Restaurant & Pizzeria, Broadbeach has undergone an exciting new refurbishment, providing the perfect setting to enjoy a lovely evening with your Valentine. On arrival start the evening with a delicious cocktail, refreshing craft beer or a glass of chilled champagne as you enjoy the balmy coastal atmosphere that surrounds Sage, which is conveniently located in Broadbeach. Our award-winning chefs have created a delectable Valentine’s Day menu for this very special occasion. Why not start with Oysters Kilpatrick or choose from our selection of entrees such as Salt & Pepper Calamari with garden salad & garlic aioli. For a light main meal option, we have included a selection of gourmet salad plates made from the freshest ingredients and for a more substantial main meal we have a range of dishes including tender sirloin steak, fish of the day and more. Or, if you are in the mood for traditional Italian you will be delighted with our choice of pasta dishes. Does your Valentine happen to be vegan? Don’t worry we’ve got that covered too! Click here to view our complete Valentine’s Day menu. Here at Sage, we love what we do best. 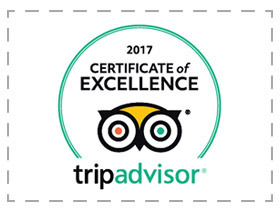 That is to serve exceptionally cooked quality food and provide guests with excellent service that exceeds their expectations. Make this Valentine’s Day special for the one you love. Contact us today to book your table for February 14! Phone (07) 5538 9938.